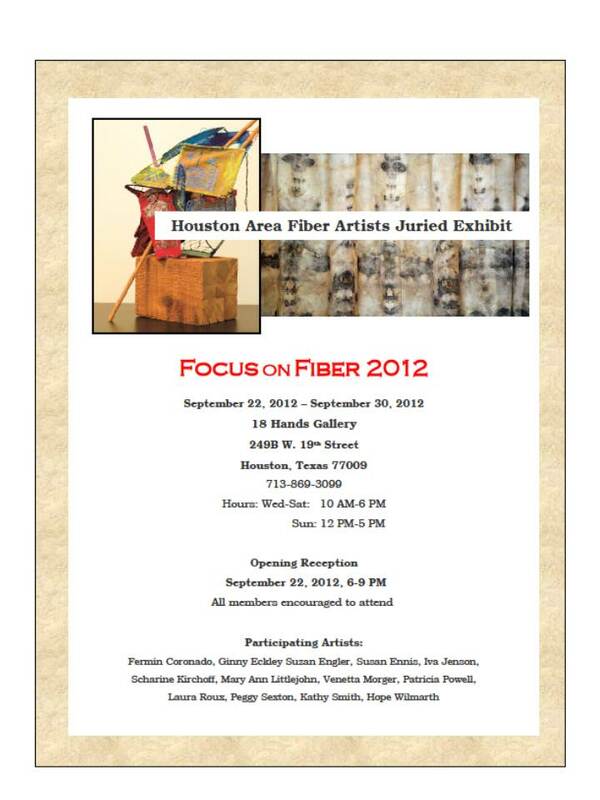 The Houston Area Fiber Artists (HAFA) juried exhibit “Focus on Fiber 2012″ will open this week in Houston, Texas USA. My hand-dyed shawl, “The Transformation”, was juried into the show by Sally Sprout. 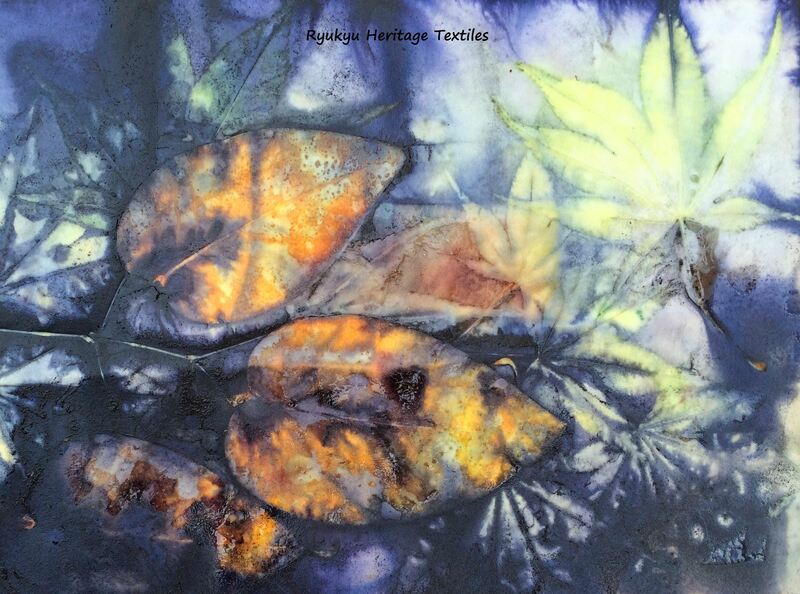 My cotton chiffon shawl underwent 3 phases of botanical dyework conducted in the U.S. and Trinidad, West Indies. The botanical plants utilized included Ryukyu indigo (Ryukyu Ai) from my studio garden in Houston, TX USA and hundreds of fallen flowers from trees in the Queens Park Savannah in Trinidad, West Indies. A sneak preview (photo) of the shawl is included in the exhibit invitation below. We welcome your attendance at the reception and gallery show.